Lighthouse Establishment small wick storage container. Note the holes drilled into each tag, these were not normal. 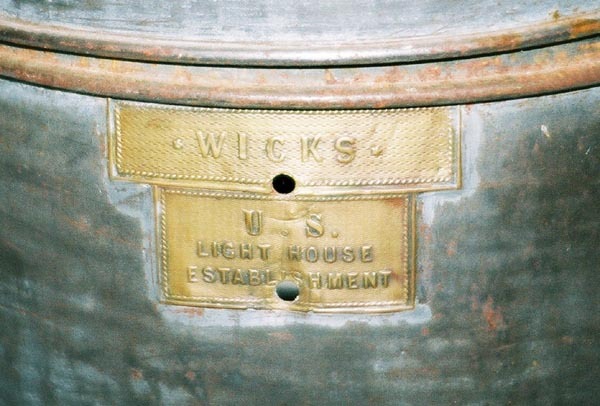 Two tags located here with the words "WICKS" stamped into it and "US Lighthouse Establishment" mark this storage container. This can was purchased from an outside vendor and then marked after the lighthouse service purchased it. 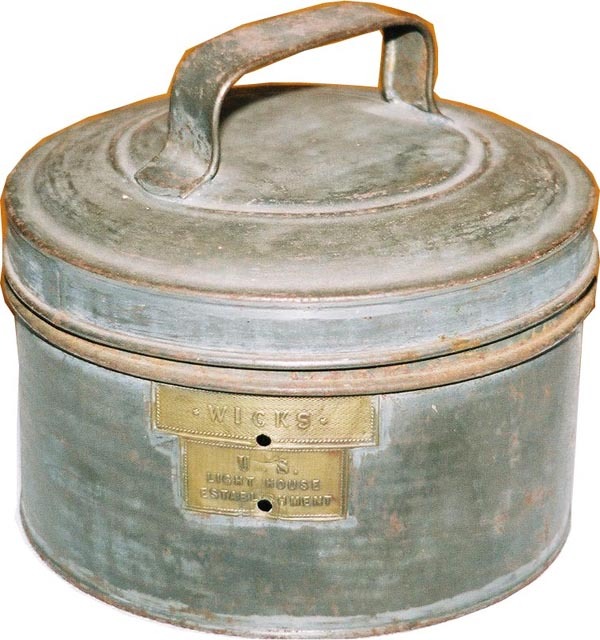 Wick storage containers come in several variations and sizes depending on the purpose. House lanterns required small containers while several feet of wick for a lantern lens required a larger container several times larger. These containers were designed to keep the wicks in a clean dry place ready for use. These containers were made out of galvanized medal and then had the lighthouse plates soldered onto them to indicate they were for lighthouse use. Another style of wick box that was larger will be added in the near future to show two different styles. 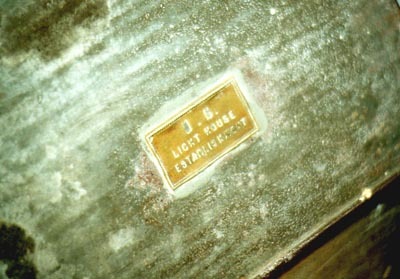 As with all objects in the lighthouse service, it was marked with a US Lighthouse Establishment plate that was soldered onto the piece indicating it was purchased from an outside vendor. These containers were one of the few items that the lighthouse service purchased from outside vendors as they made most everything they needed. A close up of the soldered on plates. This large wick storage box is another size and design of various ones used in the service. This is how the below box is marked on the top of it. 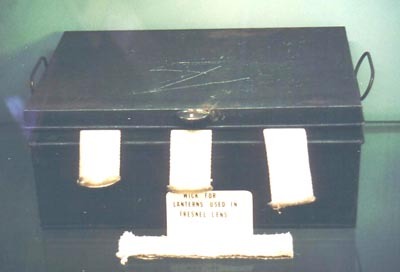 Below is the box itself. All the supplies used to trim the wicks were also kept in this box as well.